Published July 2, 2015 at 1600 × 900 in Tanzania11. 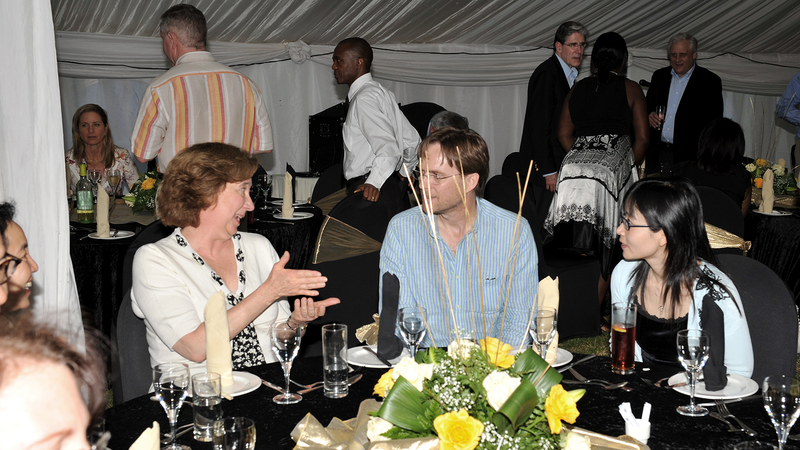 At a Welcome Dinner at the Gaborone Sun Hotel, the HSPH delegation meets the staff of the Botswana-Harvard Partnership. Nancy Lukitsh (left) talks with Erik van Widenfelt (center) from the BHP and Dr. Tianxi Cai (right), an HSPH biostatistician.